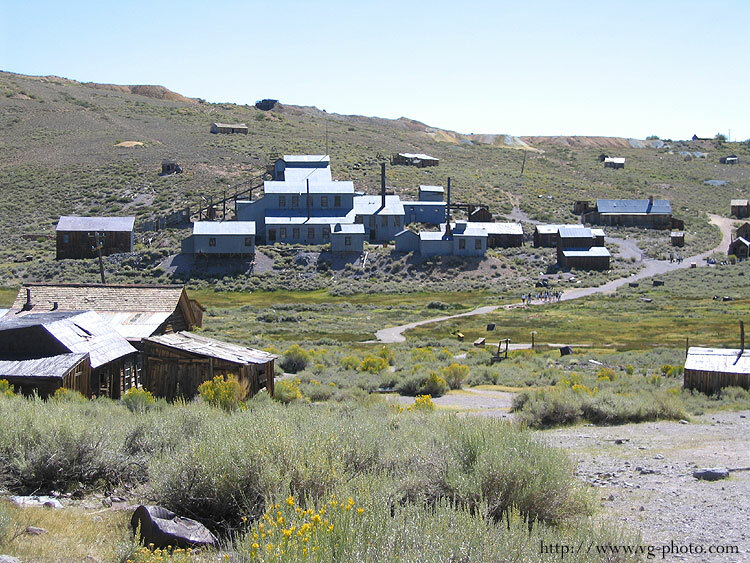 At one time in California history, Bodie was the second largest town in the state. It was known for it's lawlessness. 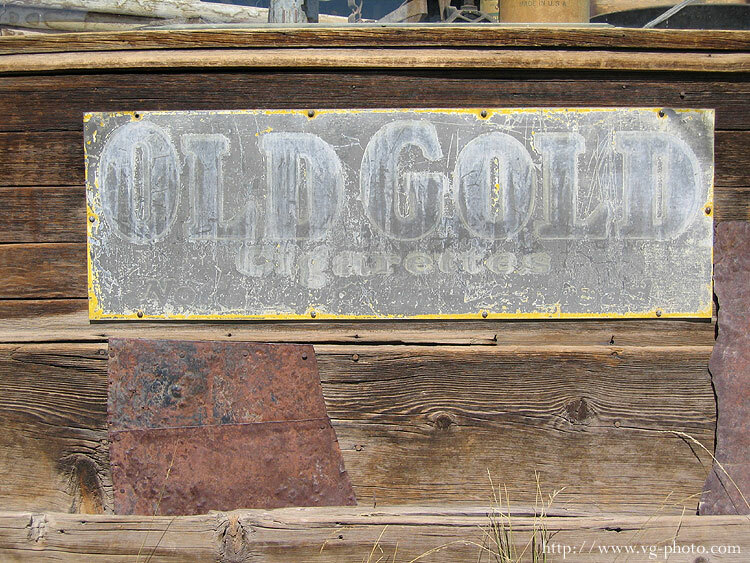 The bluff in Bodie produced a tremendous amount of gold, but few actually got rich. 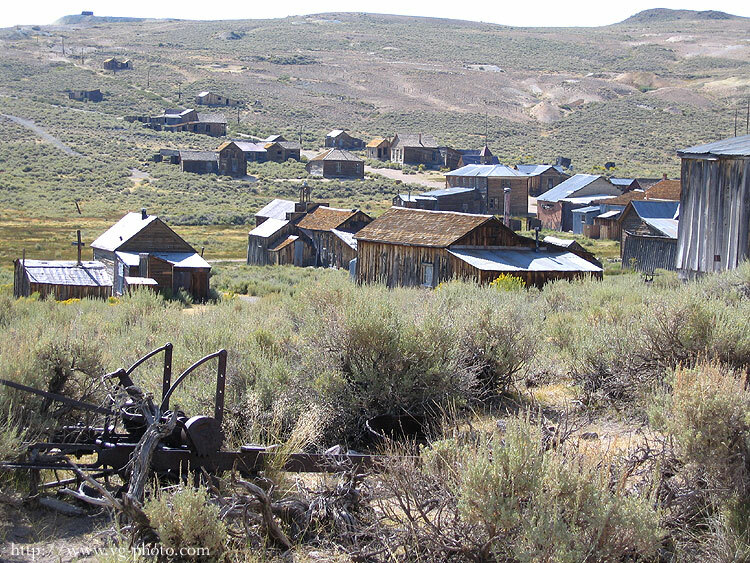 The main street, during Bodie's heyday was over a mile long and had dozens of saloons. Today, it is a state historic park that is kept in "arrested decay". It is quite a place to visit. 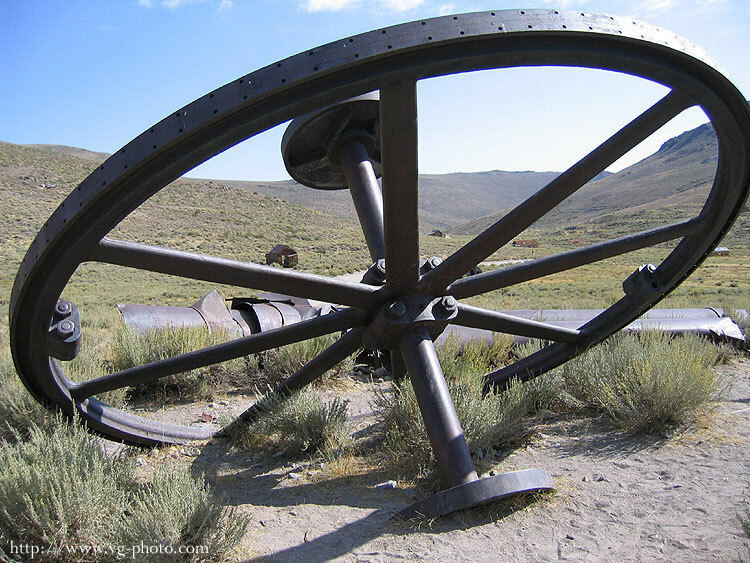 The Bodie Standard Mill was built late in the town's days and still stands today. 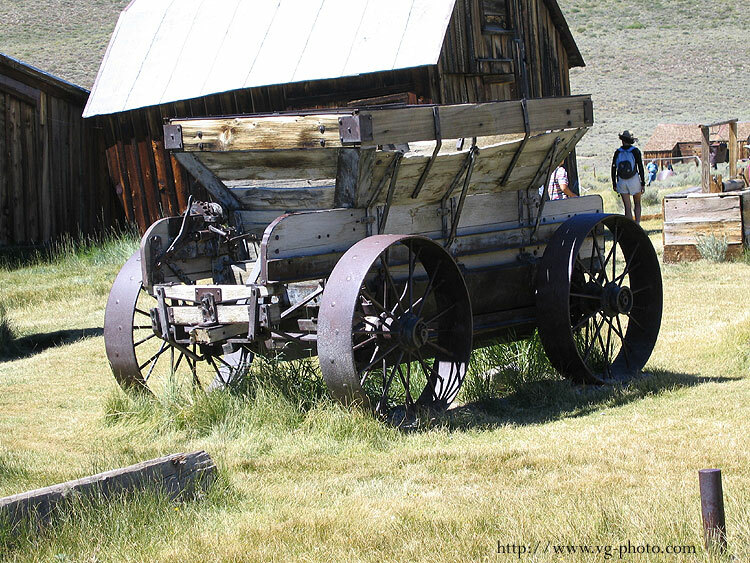 It was a 20 stamp mill that ran 24 hours a day, crushing rock to extract the gold. 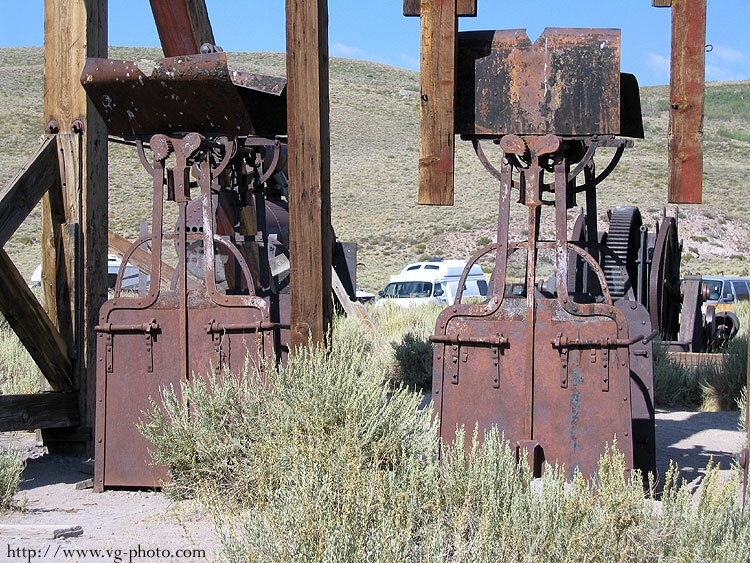 It was said that the stamp mill had to be stopped at least once a day to clean the gold out of the stampers! Some of the equipment used for the mines. The giant flywheel was actually placed on the other side of town originally. Below are a couple of the elevators that would take the miners to their work below the surface. Part of town as you look from the current parking lot. The road that continues on to the bluff is Green Street. Notice the 2 story building to the right of the middle of the picture. That was the school house. 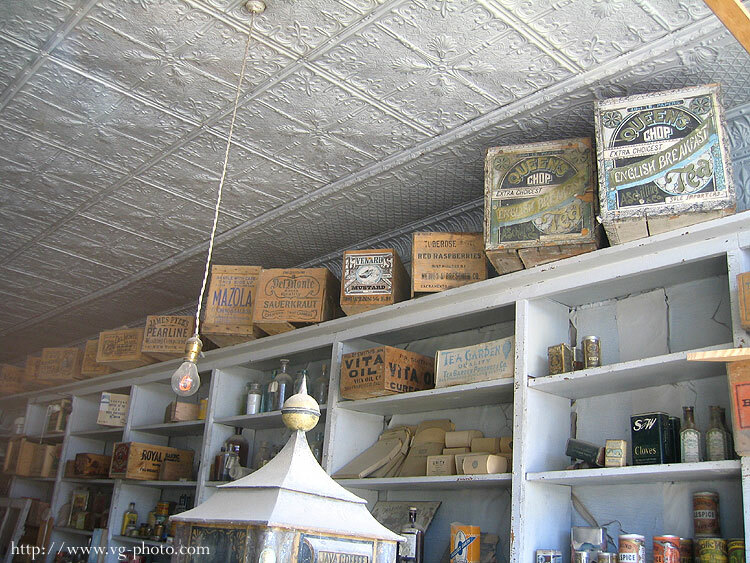 A part of the inside of Boone's General Store on Main Street. Items still stocked on the shelves as if ready to open for business again. Two of the many wagons that are throughout the town. 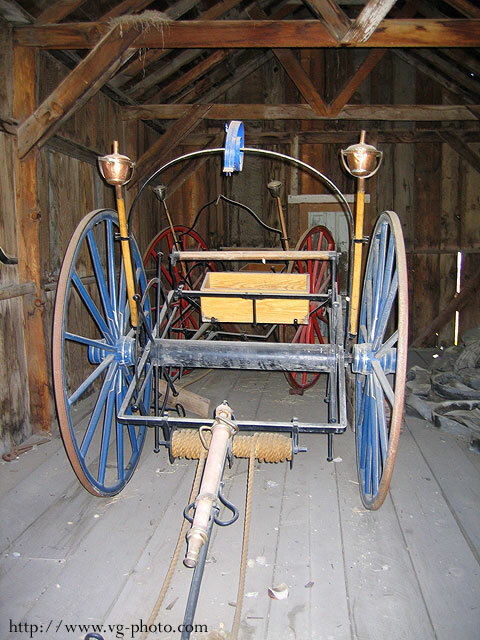 And this wagon used by the fire department. Fire was a very dangerous thing in a town whose buildings were almost all wood. 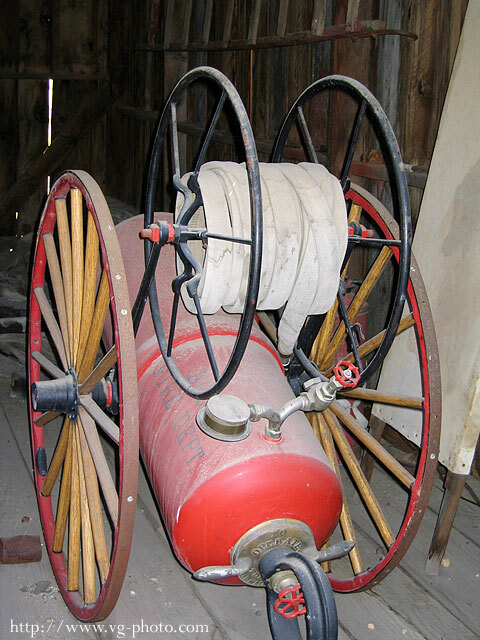 Fire has claimed large sections of the town over the years. 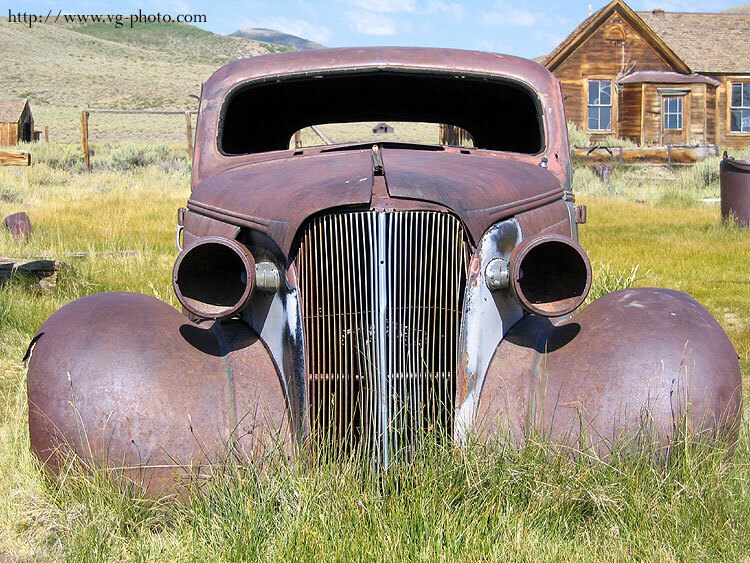 One of a few cars left abandoned in the town when it finally closed for good in the 1930s.